Cardon Mountain Natural Monument is one of the most stunning scenery of the island of Fuerteventura. The rise in the last part is not easy but it's worth doing, because the view from the highest point of the mountain is spectacular. 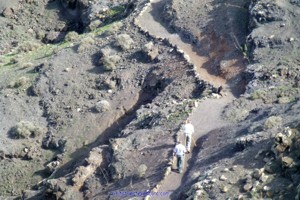 From the village of El Cardon, a road (FV 618), that goes to the FV-605, that goes to the wall (left) or Pajara (right). We left the village on this road until you reach some greenhouses abandoned at the base of the mountain, where we found a car park on the right side of the road where we left the car. Here begins the trail that leads to the Chapel of Tanquito, where pilgrimage is celebrated every year in honor of the Virgen del Tanquito. We took this trail is easy and is well signposted and we follow up to the El Tanquito, (2 km away), a rest area where we can take a break and visit the small chapel. To climb to the top of the mountain, right at the entrance of the rest area we begin the ascent, which is hard, because the slope is quite steep and there is no way. 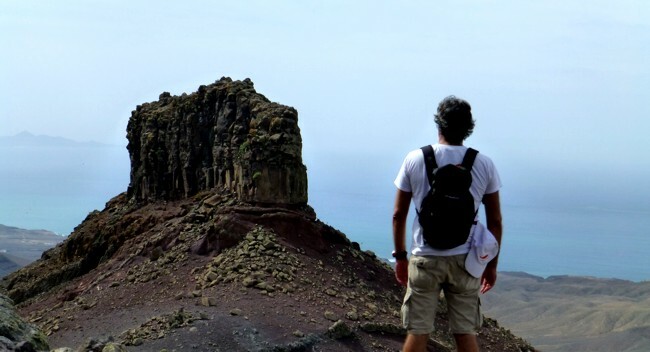 From the top of this mountain have spectacular views of the rock formations of this Natural Monument, Jandia area, and the area of The Beautiful, largely unknown on the island of Fuerteventura.